Home Bangalore Crowley, dead or alive? Mark SHEPPARD aka Crowley began his career as a guest star on Supernatural way back in 2009; in 2014, in Season 10, his King of Hell portrayal became one of the main characters, and the journey he says has been absolutely fascinating. Why a�?has beena��? Simply because the 51-year-old refuses to tell us whether he comes back to life in Season 11 or not. In a telephonic interview, Sheppard however does give us a sneak peek into what to look forward to this season. When Season 10 ended, we were left on the precipice of whata��s to come. I think the new season will bring to the forefront a new kind of evil a�� the ultimate darkness. And ita��s time for the brothers (Sam and Dean Winchester) to finally pay for the choices theya��ve made so far; ita��s only natural. The storyline is fantastic, and youa��ll know that by the end of the first episode of the new season, and it will only get stronger. Therea��s a lot more story to tell, which is a good thing. Crowleya��s role is often shifting from main antagonist to anti-hero. As an actor, does it get complicated for you? No thata��s the fun of it. You have to admit that Crowley has killed a lot less people than the Winchester brothers, so no it didna��t really get difficult for me a�� it only got better. The problem is that Rowena (the witch) is not Crowleya��s mother. She is Fergusa�� mother, from an era when Crowley was human. And all her dalliances to make Crowley feel human again, or to feel anything, has opened up a volcano of sorts. That is his weak spot, and Rowena is constantly trying to poke at that weak spot. 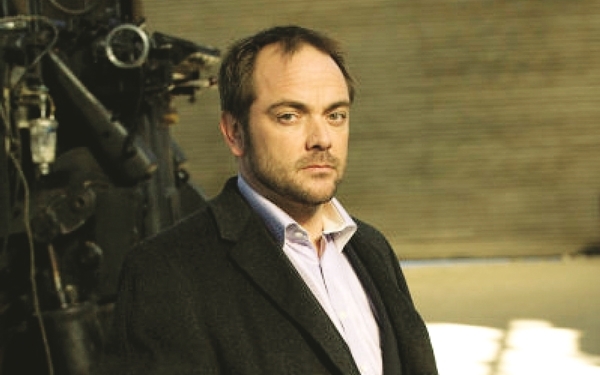 However, Crowley was never under any misapprehension, and is always one step ahead of her. But yes, ita��s an odd and uncomfortable relationship for sure. Does she have a significant role to play in Season 11? I wouldna��t know that. I am dead, remember? Ita��s something you are simply going to have to find out! But yes this much I can say that this new season is going to be a different kind of bad. The evil in it is primal; ita��s old. And ita��s deep, and dark. You know I have to say this, that due to the change in the delivery system as far as television shows are concerned, people across the world are getting to see the current seasons pretty much around the same time. 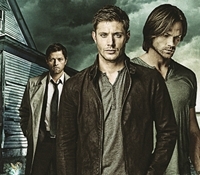 And this has really helped to make Supernatural as popular as it is today. Premieres on October 10 on AXN. At 10 pm.